The Wild Zoo Side by Side is a newly designed versatile desk for computers, homework, art projects etc. It provides a work space for one or two children. The desk can be set up as an efficient work place for two, each with their own computer working side by side. 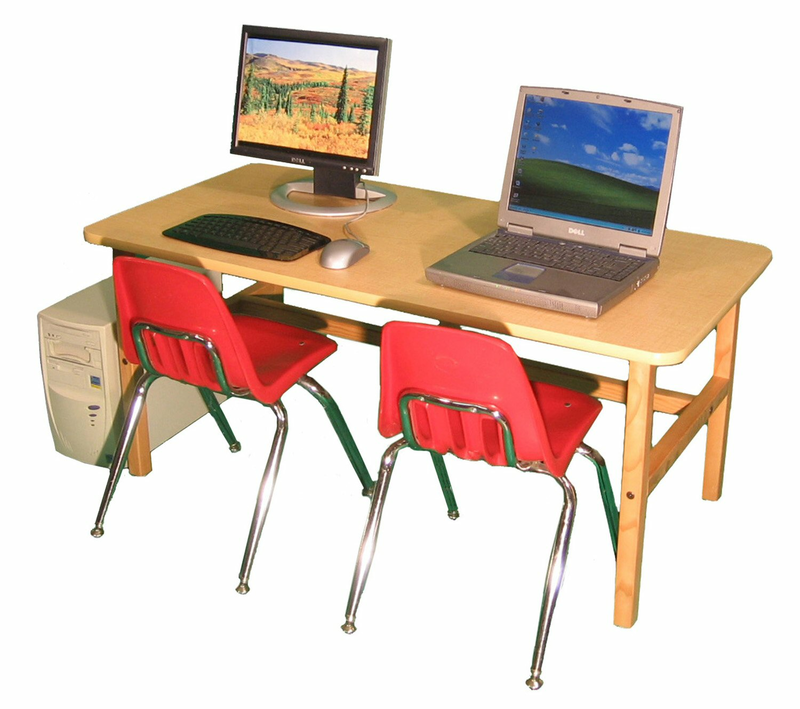 An older child or parent can sit next to a younger one and teach them computer skills. Individual chairs allow children to enjoy movement and height for their specific comfort. This desk works well for both the right and left handed children. Some children's wheelchairs could fit under the desk. 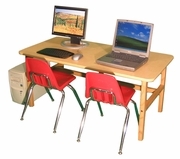 The desk was designed for school or home usage with a sturdy 3/4" thick top with a durable surface. Cord control grommets in the back of the desk allow electrical cords to be safely tucked away from possible wall damage. The assembled dimensions are 23" high, 47-1/2” wide and 23-1/2" deep. The desks are offered in a maple laminate with a choice of four edge trim colors: tan (matches the maple surface), black, brown and white. Suggested age range is 4 - 10 years old.